and for inspiration I took an idea from egg_shell and ordered a couple of new journals. I even stole her picture of this one. 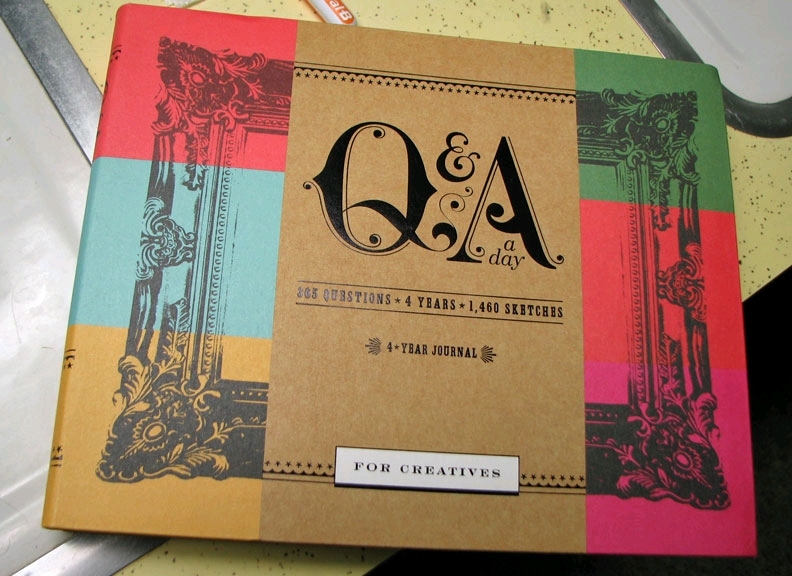 The other journal is another of the Q&A series, on writing. Of course I'm still knitting, but since it's basically following a pattern, it doesn't feel very artsy to me. Thank you Mary for always being an inspiration and for the picture. You're very welcome! I think you will like that book. Nothing too hard to sketch (unless you make it hard) but it'll make you think. Yeah, when the growing season winds down its an opportunity to get back to creative endeavors. I gotta do that. 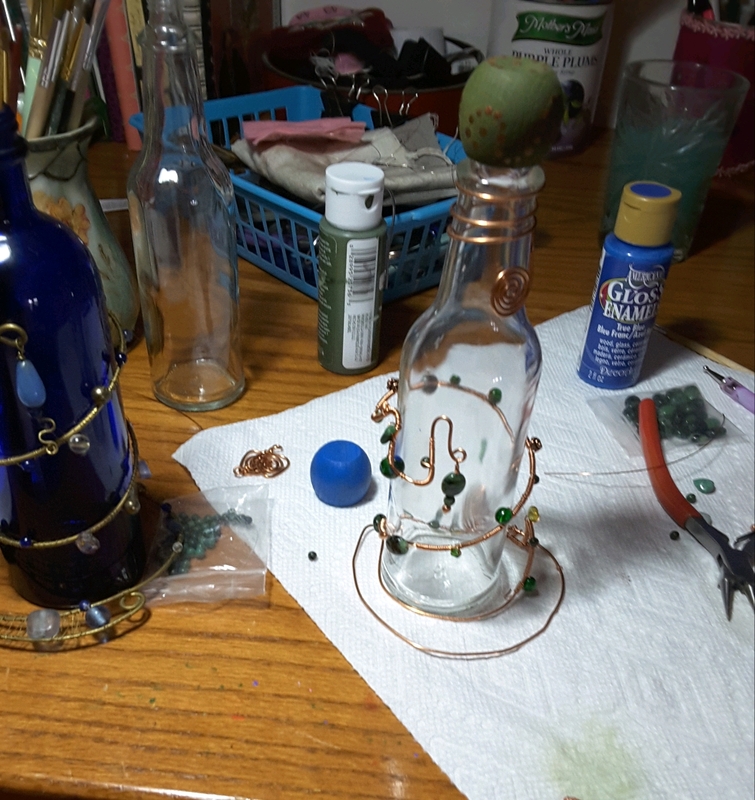 I couldn't see your bottle photo earlier, now I can. That is so cool! I can imagine hanging them from the edge of a porch, lined up on a wall or window sill. What are you going to do with yours? I'll probably give it away, but I like the idea of hanging them up.